On our two-week holiday I managed to read a staggering seven books. Which really isn’t too shabby, if you ask me. Also something rather amusing happened while I was reading, which is the main reason why I’ll give you five of them in one single humongous monster review. 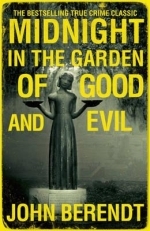 The one I started off with was Midnight in the Garden of Good and Evil, by John Berendt. I assume many of you know the movie that was based on this book, but Iet me say a few words about the content anyway. For one thing, this is a narrative non-fiction book, not a crime novel, as many of you might think. While it somewhat centers around the murder of Danny Hansford by eccentric antiques dealer/millionaire Jim Williams and the subsequent trial, it is just as much about the city of Savannah and many of its more peculiar inhabitants. While I enjoyed the story of Williams, who is sad and inscrutable in equal measure, I was looking forward to the other characters just as much. The citizens of Savannah, at least those that Berendt chooses to write about, are one and all fantastically peculiar. It is mesmerizing, though admittedly in some cases more like watching a train wreck than like anything else. There’s the guy who supposedly possesses enough poison to kill the entire city, the society lady that hasn’t left her bed in years… and the Lady Chablis. Oh, and what a character the Lady Chablis is. She is easily the best thing about the book, and while I am willing to believe that some of the anecdotes in the book might have been altered to suit the author’s needs, I believe every word that is written about her. 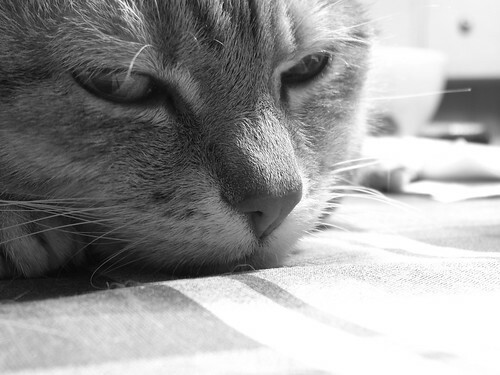 If you’ve seen the movie, you know what I mean, for Chablis plays herself and she is, as Chablis would say, fabulous. All in all I highly recommend the book. It paints a vivid and lively picture of Savannah and all the strange creatures that reside within, and it manages the all-too-rare feat of being suddenly, genuinely touching when you least expect it. 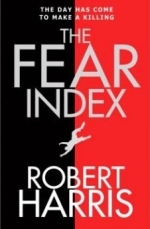 Next up was The Fear Index, by Robert Harris. Let me say, on an unrelated note, that I love Robert Harris. The man has written three wonderful novels set in Ancient Rome, books which I wholeheartedly recommend both for their engaging stories and their factual accuracy (Ancient Rome being a subject about which I know a thing or two). He’s also a delight to listen to, as we found out the other month, when we accidentally stumbled upon a reading of his at our local bookstore. Now, if you think that this gushing praise of Harris is the lead-up to tearing his latest book into shreds, I’ll have to disappoint you. The Fear Index is a book about the current economic crisis. It is a book about capitlism, and not a positive one at that. (Most chapters open up with quotes from Darwin’s Origin of Species, which I found extra creepy as I was once forced to sit through an exceptionally misguided student presentation that tried to link the one to the other.) It is also the story of a physicist, Dr. Alex Hoffman, and of the hedge fund that he has created. The novel opens up with a quote from Mary Shelley’s Frankenstein: “Learn from me, if not by my precepts, at least by my example, how dangerous is the acquirement of knowledge.” The quote is fitting and not accidental, because The Fear Index explores themes of creation and responsibility. I forgive you if you now think that this is a book about an evil AI gone rogue, I had similar misgivings at one point or another, but let me assure you that it isn’t that simple at all. And I think this is where I should stop, lest I give away too much about the plot. 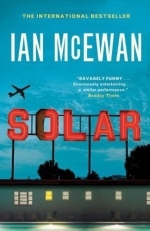 Thirdly (and this is where the funny bit starts) I read Solar, by Ian McEwan. Now, in all fairness this one should get a proper review of its own, because it was maybe not the most stupid, but the most intellectually offensive book that I read on this holiday. 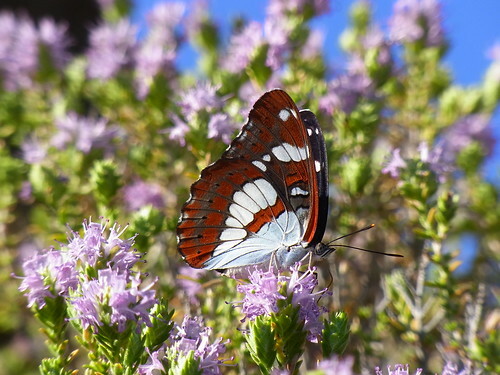 I’ll try to be brief. Solar is the story of Michael Beard, a Nobel-Prize-winning scientist past his prime (both physically and in the field of physics). Beard is, easily, the most dislikable character I’ve ever read about. He’s a womanizer, an egoist, lazy, arrogant and delusional. I could go on for a while, but I fear that all you will say is “duh, it’s a satire, of course he’s dislikable.” And yes, of course this is a work of fiction, and of comic fiction at that. Who’s to say that the dislikable prick can’t be the one who saves the world from global warming? And yet, and yet… it leaves a sour aftertaste. McEwan makes Beard so incompetent, so gross, that it seems like anything he touches is, by association, vile. Our protagonist treats his science like he treats his women: with studied, opportunistic contempt. I would have to re-read the book and write a far more detailed analysis to bring forth more satisfactory arguments than these, but all in all Solar seemed to ridicule climate change more than it warned of its dangers. That, on top of the unfair (and not to mention highly ironic) jabs at the futility of art in the face of such a calamity and the ham-handed attempts at taking on feminism (which backfire mightily and for all the wrong reasons in my opinion), makes for an unsatisfactory reading adventure. Or maybe I just don’t enjoy grossness as much as I should. Oh yes, the funny, I almost forgot. At one point in Solar the protagonist, Michael Beard, is at a party. And, while sipping a glass of Chablis, he idly quotes Darwin’s Origin of the Species to impress some poor female or other. And I thought, what a funny coincidence… and the protagonist is a physicist too… weirder and weirder. 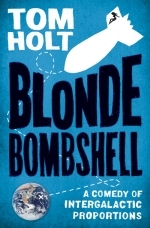 Book the fourth: Blonde Bombshell, by Tom Holt. I have some authors, Tom Holt among them, that I read primarily out of some sense of obligation to my younger self. Piers Anthony, Anne McCaffrey, Terry Goodkind, all these I am still reading because I stumbled upon them when I was fourteen and had no critical faculties whatsoever and I feel that I somehow owe it to myself to finish what I started (and in the case of Mr. Goodkind out of some sort of political/sadomasochistic/scientific interest.) Now, of all of the above I still find Tom Holt the most entertaining to read. True, the books are, as The Independent mildly put it, “undemanding”, and if you’ve read more than five you’ll find that there are more recurring themes than is good for them, but Holt also still manages to hit home with a lot of his jokes. And if I get a few good chuckles out of what is essentially an afternoon’s worth of reading, then I’m sort of happy. Blonde Bombshell isn’t overly complicated in terms of its plot, but still not easily summarized. Let me try: A race of canine aliens send a sentient bomb to planet Earth to destroy humanity, because we’ve been driving them insane by unwittingly sending radio waves to their planet. The bomb was preceded by another bomb, which vanished without achieving its mission objective. So the Mark II, being sentient, reasons that it should maybe figure out what happened to the Mark I before it does anything rash. Meanwhile on Earth, tech genius and multimillionaire Lucy Pavlov tries to figure out why she can’t remember anything prior to two years ago… and why she’s seeing unicorns. And then there’s George Stetchkin, an alcoholic physicist (another one!) who’s recruited by Lucy to figure it all out. And yes, he drinks Chablis in one scene, but he doesn’t like it. And then there are the two weird fellows, who might or might not be secret agents, or dogs, or maybe both. And… as I said, it’s not easily summarized. If you’re looking for an easy read with a few laughs I’d recommend Blonde Bombshell. It’s no Douglas Adams (by far) and those allergic to pop culture references might find an untimely end while reading it, but it’s far from the worst book I’ve ever read. It’s not even the worst Tom Holt I’ve ever read (that dubious honour goes to A Song for Nero). It’s inoffensive and brief and not even quite as predictable as expected. And I likes me a good pop culture reference now and then, so there. And then, after three counts of Chablis and three counts of protagonist physicists, I thought that that might be the end of weird coincidences. 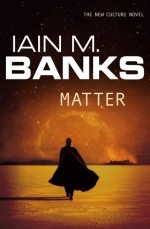 That’s when I realized that the last book I had picked was Matter, by Iain Banks. Which was bound to contain lots of AIs and bombs, and even bomb AIs. And it did. The book is part of the ongoing Culture series, which is not so much a continous story as a setting. I won’t say that this is the best Culture book that I’ve read so far. I won’t even say that I particularly liked Matter. My opinion about the book is a bit of a wibbly-wobbly grey area, I’m afraid. I like the story. I adore the scientific concepts it introduces and the science-is-our-friend-attitude which permeates the Culture books in general. 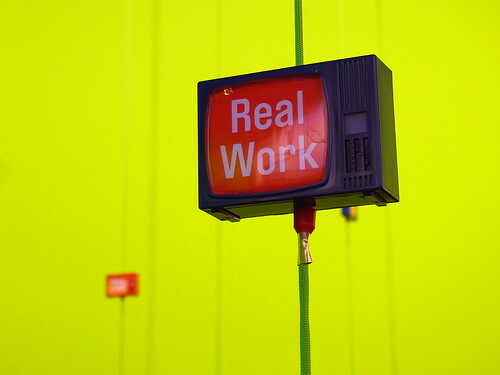 I like the bits that are about people from a low-tech background entering a high-tech environment. I love the drones. If you’ve read any of the other culture books you’ll now have a vague idea of what I’m talking about. If you haven’t: do. Iain Banks’ Culture is sci-fi at its best. Whenever someone tells me that the genre contains nothing more than adolescent crap, this is what I use as a counterargument. The books are mature, philosophical, pro-science and all the while still fun. So now you’re wondering why I’m wibbly-wobbly about the book, yes? It’s because of the ending. I don’t want to spoil anything, the book is still worth reading, but the ending does a few things that, in a way, seem to negate a lot of what the books says and does. And that is a shame. So, here we are. Five books, a lot of funny coincidences. 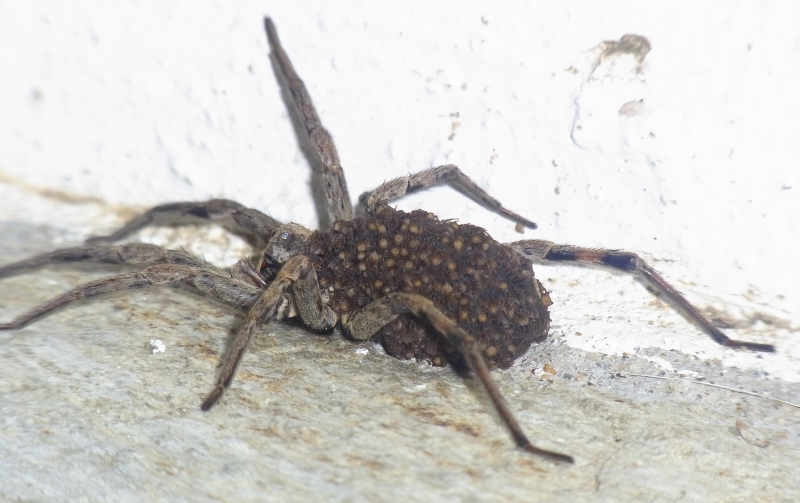 I know that if you just try hard enough you can find a pattern in just about anything, but still… creepy, no? And if nothing else, this might give you some nice ideas about what to read next. 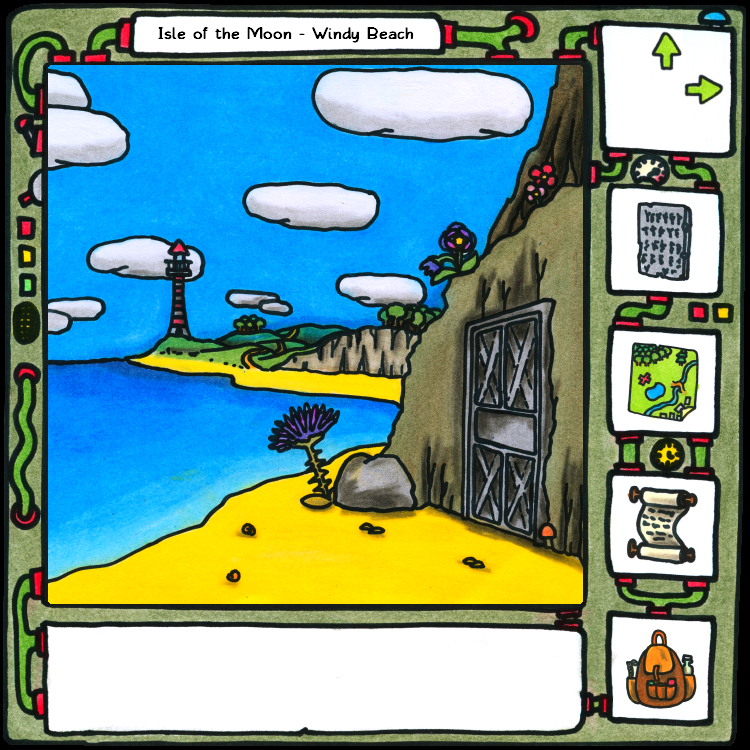 Our new game, The Sea Will Claim Everything, is out! We’re both exhausted (Jonas a lot more than me), but we couldn’t be any prouder. The game will be available for the next two weeks as part of the Bundle in a Box, an adventure themed indie bundle. The bundle also supports a charity that focuses on helping children with autism or psychosis and their families and the Indie Dev Grant. So if you like the Lands of Dream, and adventure games and want to support a cool charity, then go and get the bundle now.